Spending some time on the other side of the river? How about checking out Howrah's first mega mall, Avani Riverside. Don't keep wondering because our guide to all the things you can do at Avani is just right here. 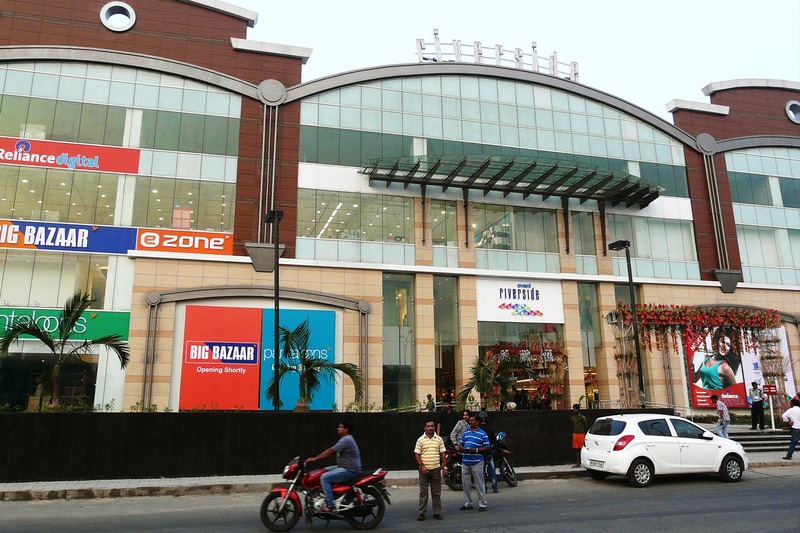 This mall has almost all major shopping brands under one roof--from international brands like U.S Polo Association, Flying Machine and United Colors of Benetton to dometic brands like Pantaloons, Reliance Trends and Prapti. Accessorise your look with precious jewellery from Saakshi or pick costume jewellery from S33 MLS. With apparels and accessories take care of, hit Home Wood, Adron or Estillo to jazz up your home to with some intereseting and fashionable furniture and fixtures. But if you're looking for some essential gadgets to pick up for your personal use then check out Ezone and Bhagwati Stores. A mall without a movie theatre is no fun, and Avani is all kinds of fun. Know for it's really affordable prices, Avani's PVR is your best bet to catch good flicks at reasonable rates. And if by the end of the movie you're tummy starts growling with hunger then head to Avani's food court Treat. Find a slew of eateries there--from Subway to Rajdhani, Flurrys, Machan and Mainland China, and be spoilt for a choice. But if you're kid gets too jumpy sitting in one spot, then check her/him in at the kids zone Yokozuna, while you enjoy some quiet time aover a cup of coffee at Barista. When in Avani you have plenty options to get yourself some primming and pampering. Check out Wellness Thai Spa for an indulgent spa ritual or get adventurous with a foot spa at the Fish Fun Spa. The usual spots of HeadTurners or Colors are also there, and you can hit Nail Story for some fancy nail art. Take it a little further and if you are up for some art on your skin, then get tatted at Kolkata's popular Lizard Skin Tattos or wear some Mehendi at Akash Mehendi Arts. If distance is not a factor, we suggest you take the Belgharia Express to get to Avani, and check out the fantastic view of the Hooghly from the Vidyasagar Setu.